View full sizeSteven Litt, The Plain DealerThe ancient Roman mosaics at BGSU have been installed below glass in a lobby at the new Wolfe Arts Center. Turkey said it expects Bowling Green State University to return a dozen ancient Roman mosaics believed to have been looted in the 1960s from a site along the Euphrates River. The university bought the mosaics, which depict birds, theater masks and other subjects, for $35,000 in 1965 from a New York dealer. When research in January showed that the mosaics were probably looted, the university went public quickly. “We’re a public institution of higher learning and committed to public education and dissemination of knowledge,” said BGSU art history assistant professorStephanie Langin-Hooper, who participated in research on the mosaics. In response to BGSU’s candor, Turkey says it believes the works should be returned, but a university official said that it has received no communication from the country. The Turkish government will “take the required steps with the university regarding the return of the mosaics that are illegally removed from Turkey,” a minister of culture wrote in a letter emailed to The Plain Dealer in response to a reporter’s query. 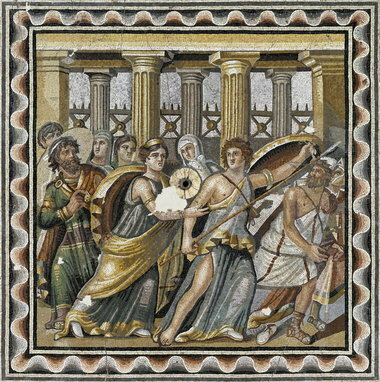 The letter, sent Friday, stated that Turkish archeologist Kutalmis Gorkay prepared a report “indicating that these mosaics absolutely belong to the ancient city of Zeugma,” where he now heads excavations. The letter also said that a copy of Gorkay’s report had been sent to the university, in Northwest Ohio near Toledo. University spokesman David Kielmeyer said Monday that the university hadn’t received anything from Turkey. View full sizeRoberto NardiExperts in Turkey and the U.S. believe that a dozen fragmentary mosaics owned by Bowling Green State University were looted from the same site that produced “Achilles on Skyros,” preserved in the early 2000s by art conservators. The university said it would consult experts around the world about the mosaics and that it had contacted the FBI to better help it understand the issues related to the new discovery. Langin-Hooper said the university was alerted to the potentially troubled history of the mosaics in late January by Brown University Assistant Professor Rebecca Molholt. 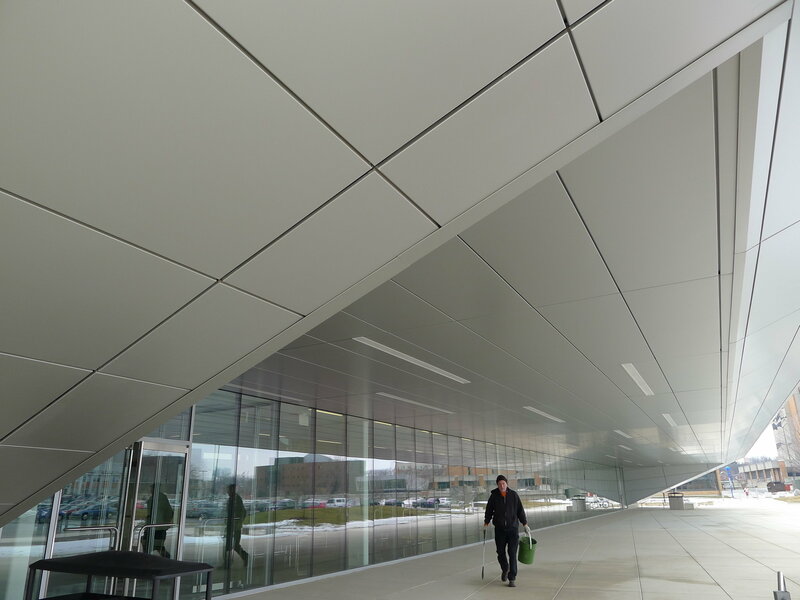 Langin-Hooper had invited Molholt to participate in a symposium about the mosaics, which were recently cleaned and freshly installed under glass in the floor of a theater lobby in the university’s new Wolfe Center for the Arts. On the basis of assurances made by New York art dealer Peter Marks in 1965, the university had long believed that the mosaics were from Antioch, where Princeton University led a legally-approved and thoroughly documented excavation in the 1930s. But Molholt, an expert on Antioch, said she found no convincing evidence in records at BGSU that the mosaics were from that site. 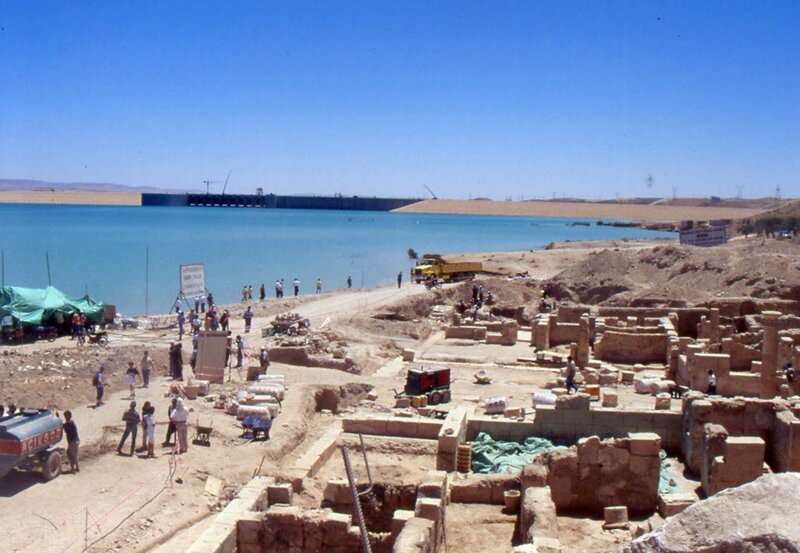 View full sizeRoberto NardiArt conservators raced to save mosaics from the rising flood waters of a manmade lake at the site of the ancient city of Zeugma in the early 2000s. She said that a conjectural pencil drawing in the BGSU files, provided by Marks, sketched an unconvincing reconstruction of how the mosaics might have been arranged in their original setting. Marks, who died in 2010, opened Peter Marks Works of Art Inc., a private art gallery, in 1960, according to a death notice in The New York Times. The notice said that Marks retired in 2002. Further visual analysis of geometric borders and other motifs in the mosaics convinced her that the more likely origin was Zeugma, an ancient Roman garrison town on the Euphrates River about 90 miles northeast of Antioch. Zeugma was heavily looted in the 1960s. 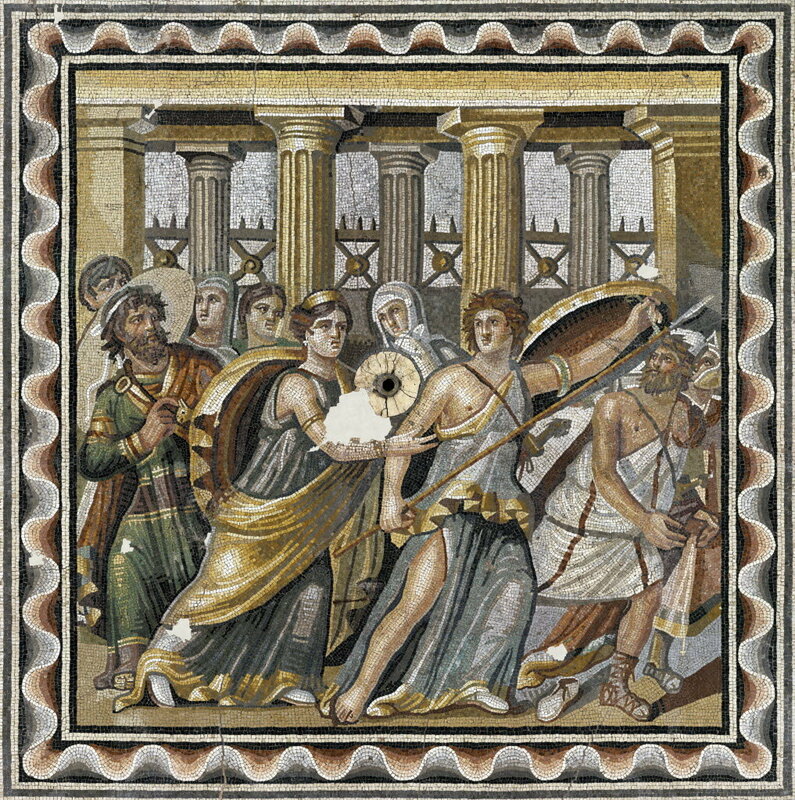 Dozens of visually stunning mosaics from Zeugma were rescued in the early 2000s by art conservators from the rising floodwaters caused by a hydroelectric dam. 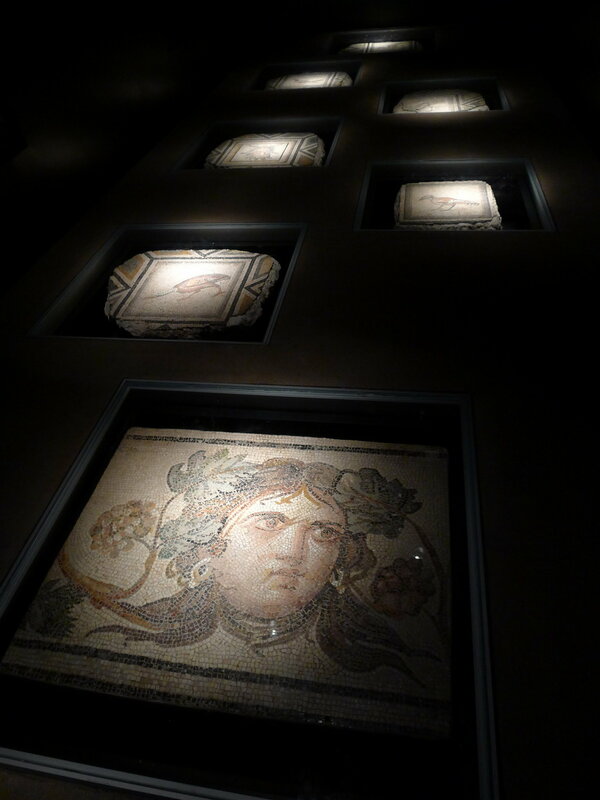 They’re now housed at the new Gaziantep Zeugma Mosaic Museum in Gaziantep, Turkey, which opened last year. 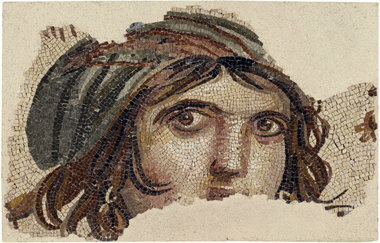 View full sizeRoberto NardiThe “Gypsy Girl” was among a trove of mosaics rescued from the rising flood waters of a hydroelectric project in Zeugma, Turkey, in the early 2000s. Molholt said she believes that the BGSU mosaics were very likely part of the decorative framework around the mosaic called “The Gypsy Girl,” the most widely reproduced image from the Gaziantep museum. The “Gypsy Girl” came from a “triclinium,” in a Roman villa, a dining room in which three couches framed an open, U-shaped space, Molholt said. Gorkay, the Turkish archaeologist, said in an email on Feb. 18 that he agreed with Molholt’s analysis. “I think she is right about their origin and even from their original context which is the triclinium to which the so-called “the Gypsy Girl” belongs,” he wrote. In his letter, cultural minister Kocapinar congratulated BGSU for its honesty about the mosaics. “This attitude of Bowling Green University will set an example for other universities and art institutions in America which possess cultural properties illegally exported from our country,” he wrote. Molholt also praised BGSU for coming out with the news so quickly. View full sizeSteven Litt, The Plain DealerA theater lobby inside the sleek new Wolfe Center for the Arts at Bowling Green State University contains a dozen ancient Roman mosaics Turkey now believes were looted from its soil in the 1960s. Mark Erdmann, an art conservator for the non-profit ICA-Art Conservation in Cleveland, cleaned the mosaics before their installation at BGSU. He said that scientific analysis of the original mortar beneath the mosaics could help confirm their origins. American universities and art museums have been criticized in recent years by Italy, Greece, Turkey and other countries claiming that antiquities in U.S. collections were looted from archaeological sites. Patty Gerstenblith, a professor of law at DePaul University in Chicago and a nationally respected expert on antiquities law, said that if the BGSU mosaics are from Turkey, they would be considered stolen property under Turkish law. Gerstenblith said that Turkey could file a civil lawsuit in Ohio to recover the mosaics. Turkey has successfully pursued such claims in recent decades against defendants including the Met in New York. The U.S. government is unlikely to pursue criminal charges, but could force BGSU to forfeit the mosaics under the National Stolen Property Act, which outlaws the transport of stolen property across state or international borders, Gerstenblith said. Additionally, she said BGSU could negotiate an agreement with Turkey in which it could ask for a long-term loan of the mosaics in exchange for recognizing Turkey’s title. However, the letter from Kocapinar stated that the mosaics belong back in Turkey. “Such archaeological artefacts are State Property and taking them abroad is prohibited,” he wrote. “Our expectation that these divided artefacts will be returned and exhibited on their country of origin.”Turkey wants Bowling Green State University’s ancient Roman mosaics returned | cleveland.com.